11x14 inch Matted Ready-to-Frame Print, printed on archive quality matte paper, signed and dated on the back of bottom right hand corner of the print, and with professional picture framing thick white board backing. (Print is not attached to the backing). Includes an 11x14 inch thick white mat board surround. 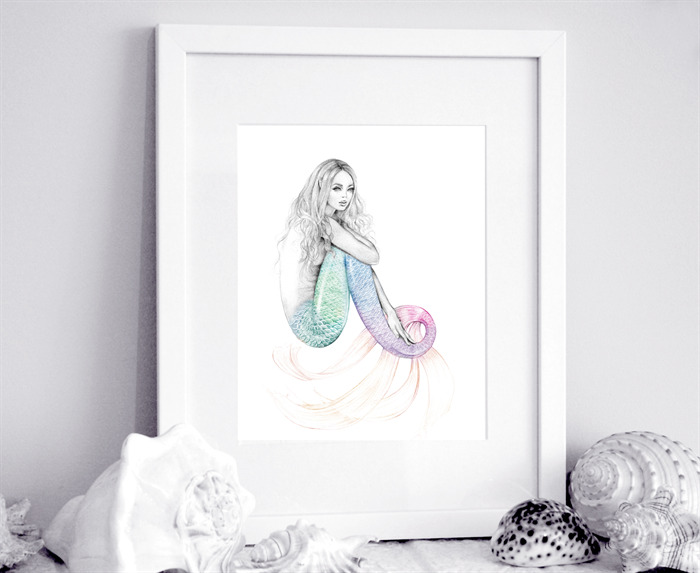 All of my beautiful prints are presented in a crystal clear protective sleeve and make a lovely gift to present to a loved one, or a special artwork for your own collection. Suitable for a standard 11x14 inch frame. This is a gorgeous print of one of my personal artworks and it will be printed especially for you at the time of your order. 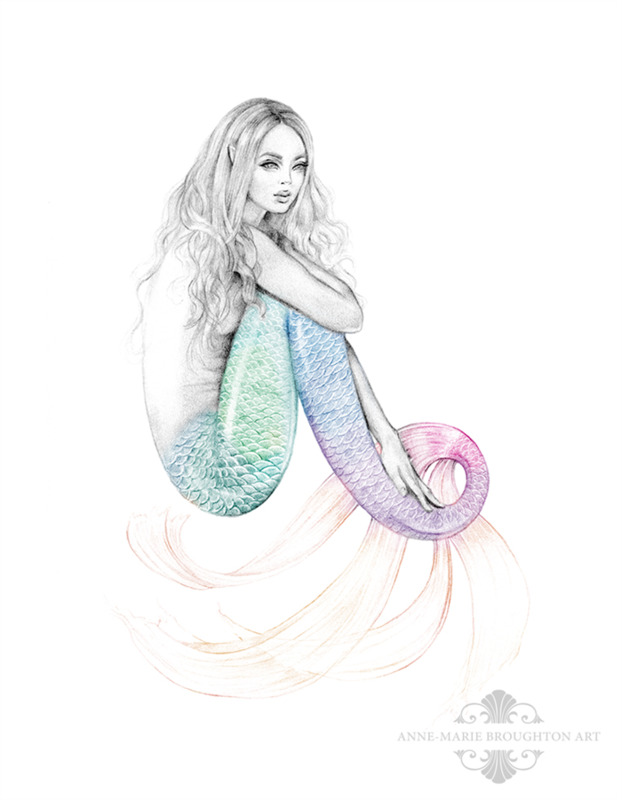 The original artwork was completed using graphite pencils on paper and the rainbow colours were added in Photoshop. Logo watermarks are not on the final print. and someday your rainbow will come shining through. the dream that you wish will come true." All my prints are carefully packaged and posted flat-packed in a cardboard Toughpak.